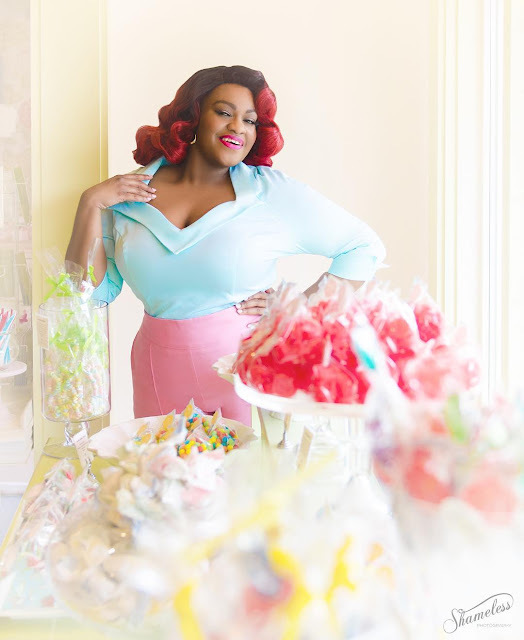 When pin-up girls became popular, there wasn't much diversity, but now the fashion industry is embracing women of all different colors, shapes, and sizes. But is it really diverse and accepting as it seems? 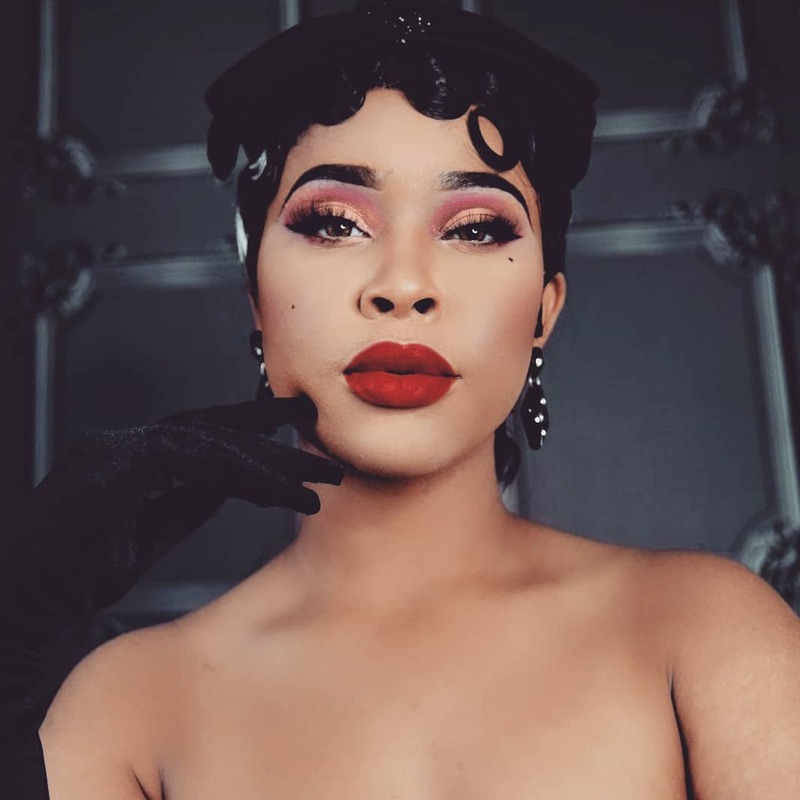 - I asked five Black pin-up models that are taking the Pinup fashion world by storm, questions concerning their experience being Afro American pin-up models and the advice they had for aspiring pin-up models of color. "I found that the vintage world has shown less prejudice than any other society, I'm not sure if my debut came at the right time, when society is moving to a more exceptant space or my ethnic diversity has just simply been embraced but it has been nothing but love, my modeling career is really starting to take off and I'm getting a lot of bookings. I'd advise all Afro-American pin-ups and generally, all pin-ups believe in your magic, stay true to yourself, work hard, and educate yourself in the field you want to dominate and never give up. My pin-up modeling has honestly organically happened a lot of my recognition came through my social media, I was approached by a few different companies, for both modeling and promotional work. It just keeps getting better I'm so grateful for these opportunities, it's amazing industry exposure. The response has been great." "I've been Pinup modeling for 7 years, but regular modeling since I was a younger teen and burlesque for 4 years on and off. I don't look at color honestly, it's more about having that confidence as a woman and the many looks that we can pull off. Working with the right photographers, designers, and businesses. I love the concept and the style and a lot of my inspiration came from my grandmother and her stories It's really easy to get into it. As far as advice, be confident in all you do research your work, network properly and add your own style too if you’d like." "Being an African American Pin-Up model, as well as being plus sized has served as an exciting learning experience for me. I made my way into this world as a means of boosting my own self-confidence, never even considering the impact my images may have on other women similar to me. Just the other day, a woman commented on one of my photos saying that she was so happy to see a beautiful black woman who wasn't a size two, being featured. I would never have imagined that someone would say anything like that about me when I look to so many other women in this community (such as Angelique Noir and Jenny Rieu) in that same light. For me, my Pin-Up experience and journey has allowed me to appreciate my own individual beauty as well as all of my quirks that add to the Susie Dahl package. I'm still paving my own way in this world, but I'm having so much fun in the process! Please don't be afraid to make your way into this subculture! Sometimes we get so much pushback from our community for doing something that may be considered to be "strange" or "different", but don't let the opinions of sheep deter you from what could be your calling or lifestyle. I've gotten so much support not only from other Pin-Ups of Color but from mainstream gals as well! I believe that if you are passionate about this world and let your personality shine, you can take this ride as far as you want to. Also, utilize your resources and don't be afraid to ask questions! 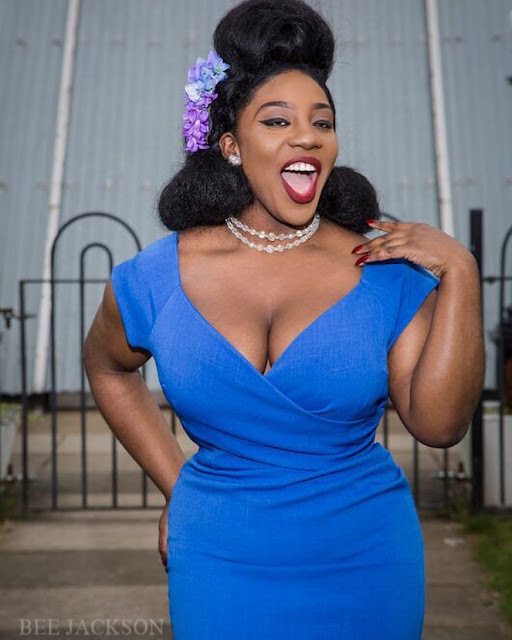 Your network can be a huge help in your Pin-Up journey, I know that The Luscious Ladies, Black Pin Ups, and Pinups of Colour have all be such great resources for me personally! If anyone out there is aspiring to get into Pin-Up, please don't hesitate to reach out to me! I'd love to pay it forward for all the love I've received. I was actually encouraged to start getting into Pin-Up modeling by Sophie Spinelle of Shameless Photography. Back in 2013 when I was first doing makeup for Shameless during one of her photo tours to New York, Sophie for some strange reason saw something in me and said that I eventually needed to be in front of her camera instead of just being behind the scenes. A couple of months later when Sophie was interviewing a new photographer for the New York branch of Shameless, I was asked to be a test model for the practice run. I only had a couple of pieces of Pin-Up style wardrobe, and I hadn't been in front of a camera professionally since I was 7, so I didn't know what to expect from myself. Would I know the right way to pose? Would I shrink away from this process? Would I be able to properly execute all of those classic Pin-Up expressions? I admittedly had a lot of self-doubts (and I still do, if I'm being honest), but Sophie was so encouraging and gave me such a boost of confidence as I was shooting. I've been hooked ever since!" "My experience with being a black/afro American pin-up has been interesting. I wish I could be more a part of the culture but it's hard finding clothing of the era in my size and a lot of the pinup clubs are exclusive. So I just do my own thing a lot of the time. People love seeing a fat pinup and I love bringing the diversity to a genre of modeling I love! "The advice I would give is to just keep going. It's easy to get discouraged. But the end result is seeing more women of color in this genre. 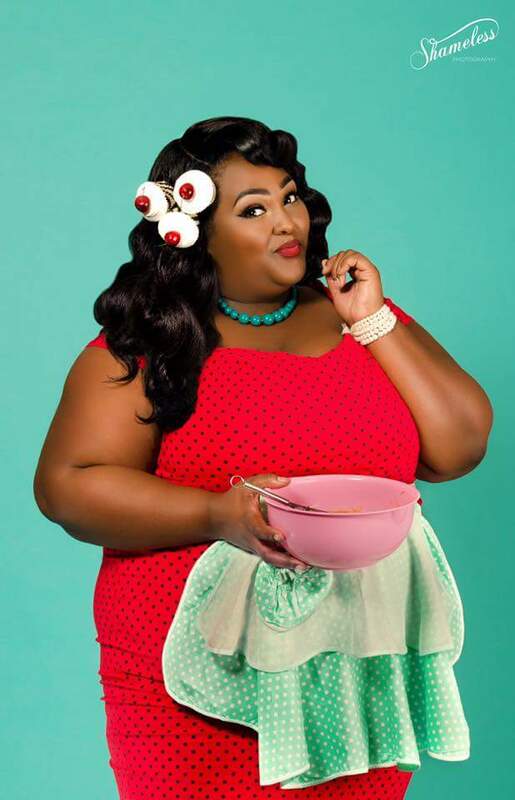 We need to see diversity and change the standard of what is considered beautiful in pinup." "To be honest, I live in the more *cough* "rougher" parts of London so it's always funny to see the different reactions I receive - especially considering my cartoon proportions. (Can't tell you how many car crashes I've almost caused). No, but on a real note, it's always so positive. People are always intrigued by not only the style but the way I add my own flare to it and the fact that I throw a bit of color into the mix- it's something people barely see and was barely showcased in media both at the time and now so yeah, it's all good. The best advice I ever received was: "Restes comme tu es" meaning be true to you! (Well, actually it means to stay as you are but you know what I mean) There's no right or wrong way to be a "pin-up model"- the pin-up field is filled with such a large range of styles and even within that, there are no rules. you honestly just gotta get out there - as scary or nerve-racking as it may first seem- we're such a nice supportive community, we've got your back! join the social media sites, showcase your beauty, reach out to people. And let me tell you now; an iPhone with good lighting can deliver some fire photos! All things happen in the right time, just keep going and get to know people! You never know where opportunity will come from. I once had a bet with an old boyfriend to see who could take better pictures - and so the challenge began. We went all out and found a photographer, planned our own shoots and everything (we took challenges very seriously (we took challenges very seriously lol.) Anyhoo, I went with a retro concept as it's something I have always wanted to try and the photographer spent the whole time on me! (Haha I won the bet). But on a serious note, I found the whole process enjoyable but more importantly empowering so I eventually joined social media. I started to put out a few of my pictures as well as create small opportunities and of course, annoy my poor little sisters in the dead of winter to get those perfect-imperfect pictures (haha) and the rest is well, to be honest, it's still the present. I've still got a long way to go and loads to learn but I sure do have fun with it."